Johanson, Donald. From Lucy to Language. New York. Simon and Schuster. 1996. 4to. Hard cover. First edition. Illustrated in black, white and color. Fine copy. Johanson, Donald. From Lucy to Language. Photo available. New York. Simon and Schuster. 1996. 4to. Hard cover. Illustrated in black, white and color. Fine (owner inscription on half-title page) copy in fine dust jacket (in mylar). Johns, Chris & Patrick Hemingway. 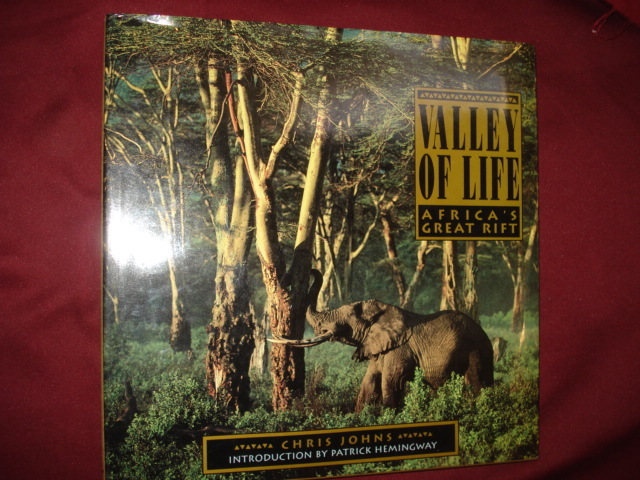 Valley of Life. Africa's Great Rift. Photo available. Charlottesville. Thomasson-Grant. 1991. Folio. Hard cover. First edition. Illustrated in black, white and color. Fine copy in fine dust jacket (in mylar). 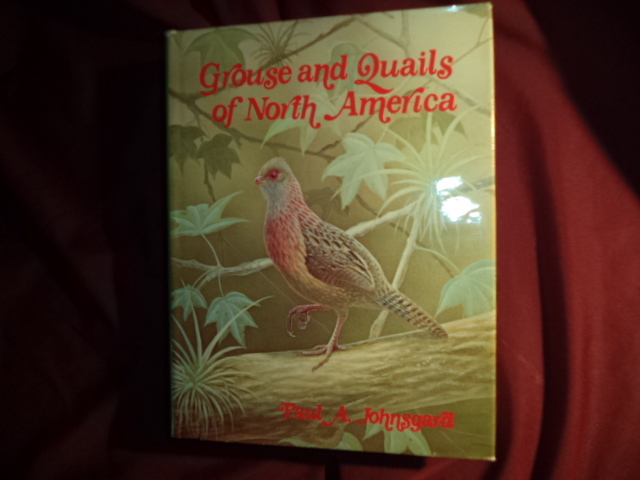 Johnsgard, Paul A. Grouse and Quails of North America. Photo available. Lincoln. University of Nebraska. 1973. 553 pps. 4to. Hardcover. Reprint. Illustrated in black, white and color. Important reference work. Fine copy in fine dust jacket (in mylar). Johnsgard, Paul. 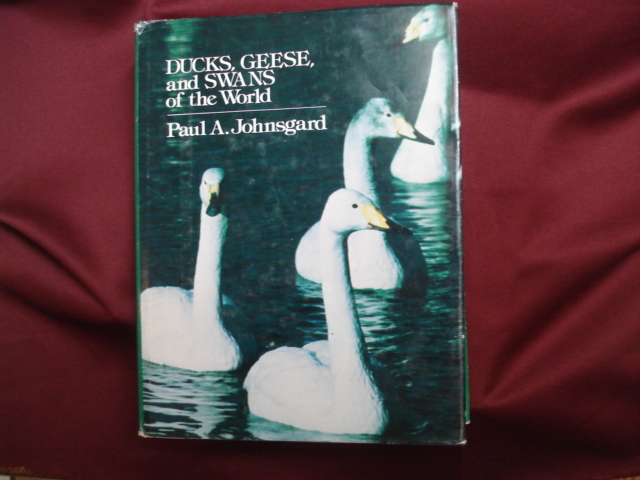 Ducks, Geese and Swans of the World. Photo available. Lincoln. University of Nebraska Press. 1978. 4to. Hard cover. First edition. Illustrated in black, white and color. Near fine copy (spine very slightly cocked) in near fine (very light edge wear) dust jacket (in mylar). Johnson, Lady Bird and Carlton B. Lees. Wildflowers Across America. Photo available. Washington. National Wildflower Research Center. Abbeville Press. 1988. 4to. Hard cover. First edition. Illustrated in black, white and color. Fine (small owner inscription on end paper) copy in fine dust jacket (in mylar). Johnson, Myrtle Elizabeth. Seashore Animals of the Pacific Coast. New York. Beaux Arts. 1967. Octavo. Soft cover. Illustrated. Near fine copy (very light shelf wear). Johnson, Paul. Consolidated Gold Fields. A Centenary Portrait (Australia). New York. St. Martin's Press. 1987. Octavo. Hard cover. First edition. Illustrated in black, white and color. Fine copy. Johnson, Phillip. Darwin on Trial. Washington. Regnery. 1991. 193 pps. Octavo. Hardcover. First edition. Fine copy in near fine dust jacket (in mylar). Johnson, Timothy. Solar Architecture. The Direct Gain Approach. New York. McGraw-Hill. 1981. 218 pps. Octavo. Hardcover. First edition. Illustrated. Fine copy in fine dust jacket (in mylar). Johnson, Toni Cavanagh, Ph.D. 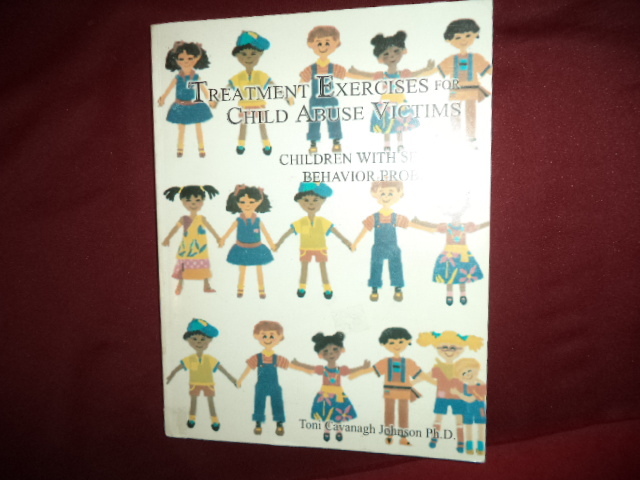 Treatment Exercises for Child Abuse Victims and Children with Sexual Behavior Problems. Photo available. South Pasadena. Self published. 1998. 4to. Soft cover. First edition. Important reference work. Fine copy (some small owner stamps). Johnson, Warre T. & Howard H. Lyon. 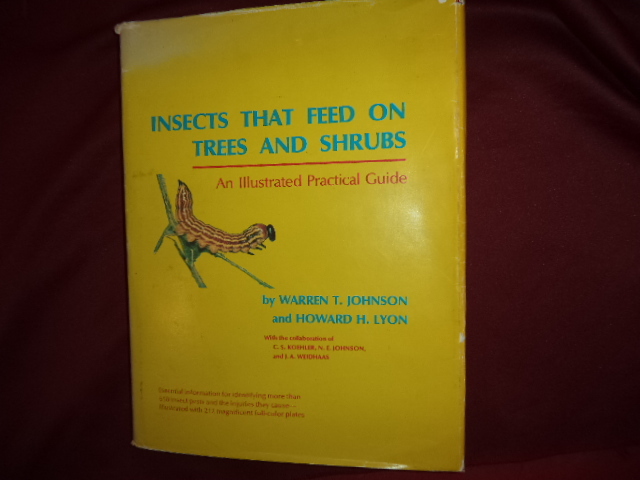 Insects That Feed on Trees and Shrubs. An Illustrated Practical Guide. Essential Information for Identifying More than 650 Insect Pests and the Injuries they Cause - Illustrated with 212 Magnificent Full-Color Plates. Photo available. Ithica. Cornell University Press. Comstock Pub. 1976. 4to. Hardcover. First edition, second printing. Illustrated in black, white and color. Important reference work. Fine copy in near fine (light sunning to edges) dust jacket (in mylar). Johnson, Warren T. & Howard H. Lyon. 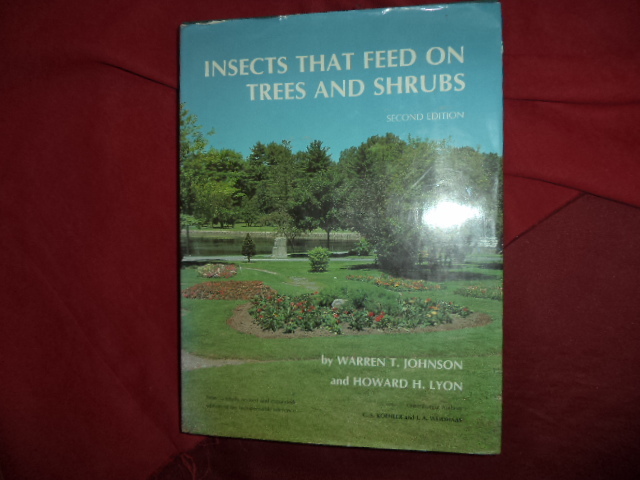 Insects That Feed on Trees and Shrubs. Photo available. Ithica. Cornell University Press. 1988. 556 pps. 4to. Hardcover. Second edition. Illustrated in black, white and color. Important reference work. Fine copy in fine dust jacket (in mylar). Johnson, Warren T. & Howard H. Lyon. 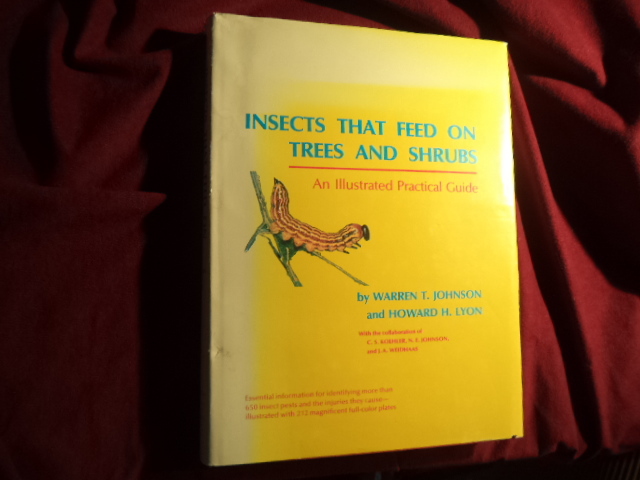 Insects That Feed On Trees and Shrubs. An Illustrated Practical Guide. Photo available. Ithaca. Cornell University Press. Comstock. 1979. 464 pps. 4to. Hardcover. Third printing. Illustrated in black, white and color. Important reference work. Fine copy in near fine (very light shelf wear) dust jacket (in mylar). Johnson, Wendy. 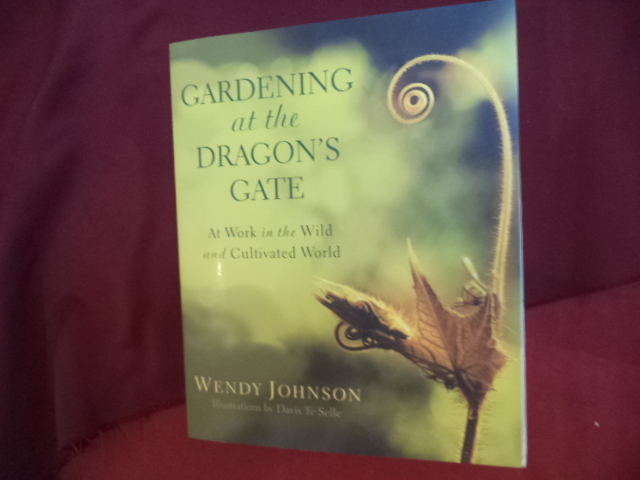 Gardening at the Dragon's Gate. Signed by the author. At Work in the Wild and Cultivated World. Photo available. New York. Bantam Books. 2008. 4to. Soft cover. Reprint. Illustrated by Davis Te Selle. Important reference work. Fine copy. Johnsonbaugh, Richard & Marcus Schaefer. Algorithms. Photo available. Upper Saddle River. Pearson Education. 2004. 752 pps. 4to. Hardcover. First edition. Full number line. Illustrated. Important reference work. Fine copy. As new. Jonas, David. Man-Child. A Study of the Infantilization of Man. New York. McGraw-Hill Book Co. 1970. 362 pps. Octavo. Hardcover. First edition. Fine copy (book plate) in fine dust jacket (in mylar). Jones, Barrie William. The Solar System. Oxford. Pergamon Press. 1984. 336 pps. Octavo. Soft cover. First edition. Illustrated. Fine copy. Jones, Charleotte Foltz. Fingerprints and Talking Bones. How Real-Life Crimes are Solved. New York. Yearling. 1999. Octavo. Soft cover. First edition. Illustrated. Fine copy. 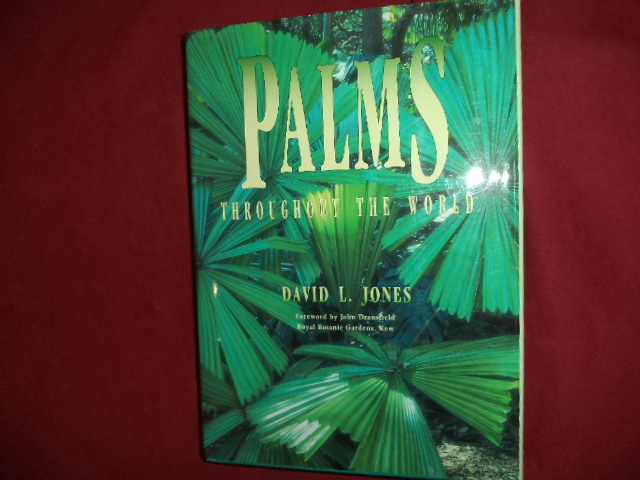 Jones, David L. Palms Throughout the World. Photo available. Washington. Smithsonian. 1995. 4to. Hardcover. First edition. Full number line. Illustrated in black, white and color. Important reference work. Fine copy in fine dust jacket (in mylar). Jones, David. Ducks. Photo available. Vancouver. Whitecap Books. 1998. 4to. Hard cover. First edition. Illustrated in black, white and color. Fine copy in fine dust jacket (in mylar). Jones, Edgar. The Business of Medicine. The Extraordinary History of Glaxo, a Baby Food Producer, Which Became One of the World's Most Successful Pharmaceutical Companies. Photo available. London. Profile. 2001. 4to. Hardcover. First edition. Illustrated. Fine copy in fine dust jacket (in mylar). Jones, Ernest M.D. The Life and Work of Sigmund Freud. Three Volumes. Volume 1 - The Formative Years. 1856-1900, Volume 2 - The Years of Maturity 1901-1919, Volume 3. The Last Phase. 1919-1939. Photo available. New York. Basic. 1955. Octavo. Hard cover. Stated first editions. 3 volumes. Illustrated. Important reference work. Fine set (very light fading to spines). Jones, Helen. The Marijuana Question. And Science's Search for an Answer. New York. Dodd, Mead & Co. 1985. 536 pps. Octavo. Hardcover. Reprint. Illustrated. Introduction by C. Everett Koop. Fine copy in near fine dust jacket (in mylar). Jones, J. Roy. 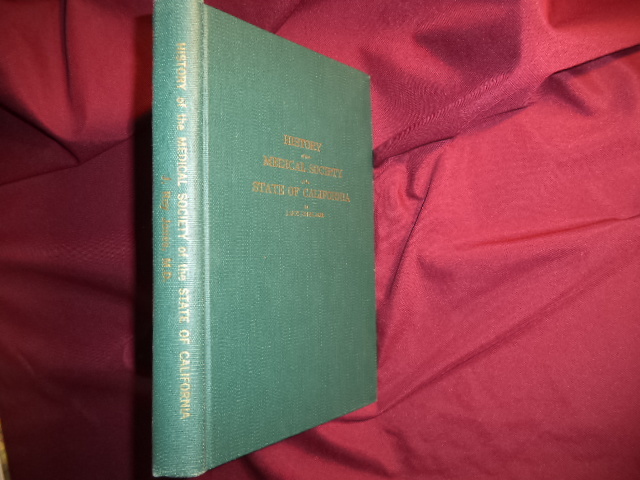 History of the Medical Society of the State of California. Photo available. Sacramento. The Historical Commettee of The Sacramento Society for Medical Improvement. 1964. 224 pps. Octavo. Hardcover. First edition. Illustrated. Important reference work. Fine copy.